Michigan’s Governor Rick Snyder is about to make an announcement that will move him to the prominent fore in the education reform movement not only statewide, but nationally as well. Snyder has done much already to shape the education conversation in Michigan and nationally (more on that later) and, as the former CEO of a company on the forefront of casino capitalism, he clearly has the background to weigh heavily in this particular discussion. For those who are familiar with the current education reform movement, there are no surprises here. And as a pro business market fundamentalist, it is predictable that Governor Snyder would promote a portfolio model. At the same time, it is crucial to recognize the history that Snyder has created in order to fertilize the ground for this move. In the Spring of 2013, it was revealed that Snyder had put together a secret group in order to design a plan that “lets parents use tax dollars to choose between private and public schools—something prohibited by the state Constitution.” This group was headed by Richard McLellan, a pro-voucher, pro school choice advocate. The intention of this group was to create a model that dismantled local districts in favor of a system that would allow students the choice to take their state funding to any school in the state, including virtual schools. This was what Snyder called the “anytime, anywhere, any pace” model, a techno utopian dream, and one that, as I have written before, hugely misunderstands the importance of the teacher. And a crucial element in this plan was the disconnection of schools from the democratic accountability of local communities. Essentially, this model imagines humans as abstracted from the relationships and accountability that local community provides. This cannot be overstated. In his important book, Community: The Structure of Belonging, Peter Block writes, “The essential work is to create social fabric, both for its own sake and to enable chosen accountability among citizens. When citizens care for each other, they become accountable to each other. Care and accountability create a healthy community.” It is important to understand that the portfolio model is based on a way of imagining humans as alienated from the relationships, context, and accountability that can only be provided by a community where people are known. As traditional conservatism understands, local community is significant, thus the need to “conserve” community and the values it represents. Traditional conservatives understand that as part of the fabric of their communities, local school districts actually matter in people’s lives. Snyder and other current Republicans are too often misnamed as conservatives when they in fact, like many current members of the Democrat party, are representatives of neoliberal market fundamentalism, which views everything from the one-dimensional value of money, and as a result, rips apart the social fabric. I and others have written extensively about Michigan’s Educational Achievement Authority. (See here, here and here.) For the sake of this article, simply note that the EAA has taken schools out of the Detroit Public School system and put them into a “state-wide” district of the lowest performing 5%. For a variety of reasons, those schools are all Detroit schools. (See Mary Mason and David Arsen’s important report on the establishment of the EAA. It is linked at the bottom of this piece.) It then instituted the techno utopian dream of a computer driven, “personalized” curriculum that sees little need for qualified teachers and has proved a colossal failure. Again, the EAA’s elements of misunderstanding the role of the teacher, of a techno utopian vision, and the underestimation of the importance of community are all replicated in the portfolio model. While the EAA was on the rise, so were for profit charters in the state of Michigan. Legislation was passed that allowed for the expansion of charters in the state. Eighty percent these charters are now run for profit and Michigan has the dubious honor of leading the nation in the number of for profit charters. “Though Public Act 436, which allegedly authorizes emergency management, allows that elected bodies taken over and supplanted may vote after 18 months to put out an EM, the courts have ruled that this means the Governor simply has to install a new and different EM. Emergency Management is a permanent feature of black cities in Michigan. “Gov. Snyder also took the unprecedented step of diverting a portion of the School Aid Fund to pay partially offset huge cuts he had made to higher education which he claims to value so much. Before Rick Snyder came into office, this had never happened before. How much of a hit did the School Aid Fund take from this diversion of money to higher ed? That’s a lot of money that schools aren’t getting. Fifty seven school districts in the state of Michigan are now operating under a deficit. To put it another way, fifty-seven school districts are now ripe for being taken over by emergency management. 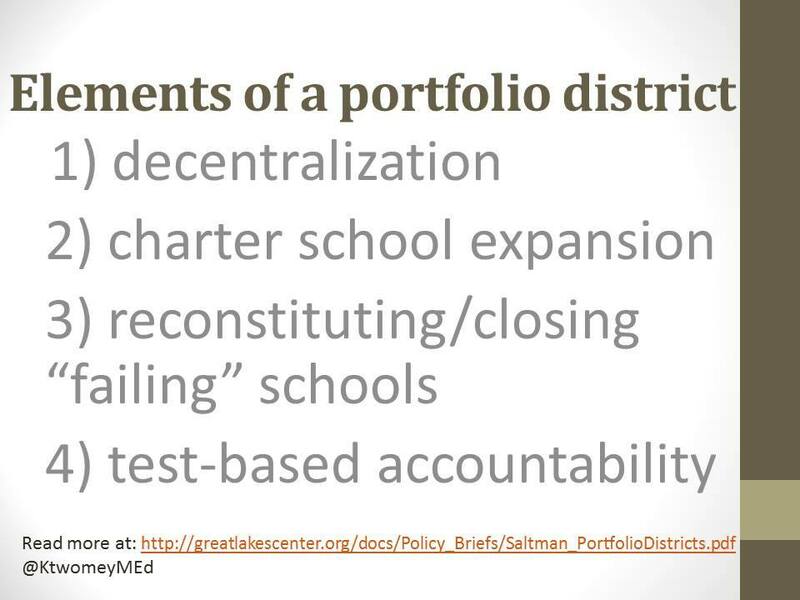 Or, remembering Wylie-Kellerman’s frame, fifty-seven school districts are now ripe for privatization. So this is the current context for Snyder’s upcoming announcement. This is the groundwork that has been laid, some transparently, some not so much. But with this in mind, it’s at least clear that a pattern has been established so there should be no more surprises. This entry was posted in Uncategorized and tagged DPS, EAA, Emergency Management, Neoliberalism, Rick Snyder, Skunk Works. Bookmark the permalink. And to think people used to move to Michigan for its high-quality public schools. Beginning with Engler, our public schools have been systematically dismantled by Republican governors so for-profit companies can gouge the public while providing inferior educations to the students who receive them. If I still had school-age kids, I’d move to another state. And if I was a beginning teacher, I’d do the same. Wake up, Michigan voters! If there is more crime in certain areas, do we seek to dismantle that police institution ( like education) If more home fires are reported, do we dismantle the fire department in that area and consider privatizing it? If the people of government fail the publics standard, can we privatize local gov. When prisoners are repeat offenders, do we abolish jails and institute private local jails? Most failure is the result of government legislation. Education was leading in Michigan, and USA until educators were forced to abide by new laws. The ole catch 22. We have high birth rate for teens, and high death rates for infants in Mich., It must be the fault of Soc Services……….we need to privatize that. Drug abuse is out of control, What gov. unit is responsible for those numbers? Birth defects , learning disabilities, mental impairments are increasing, has gov. resolved the issue? Great expose here. Corruption of our schools via corporate takeover will occur via small, unnoticeable, and unintentional cracks that these big problems cause. For example, teachers are becoming alienated from one of the most fundamental activities of teaching – assessment. You write about this with the rise of computer testing. Look for the small things, because the small things are what makes the theory of institutional corruption so valid and applicable.